Since graduating from the University of Tennessee with his Doctor of Dental Surgery (DDS) degree, Dr. Mayoor Patel has been providing his patients with superior dental care. After serving as a dentist at general dentistry practices in Norcross and Duluth, GA, Dr. Patel went on to receive his Certification in Orofacial Pain at the University of Medicine and Dentistry of New Jersey in 2004. Special Consideration Regarding the Assessment and Management of Patients Being Treated with Mandibular Advancement Oral Appliance Therapy for Snoring and Obstructive Sleep Apnea. Why are dentists in a unique position to screen for sleep breathing disorders? Why Should Dentists Screen Their Patients for Sleep Apnea? Airway, Bruxism and Craniofacial Pain: What’s the connection? In addition to his extensive continuing education, Dr. Mayoor Patel also lectures both locally and nationally to the dental and medical communities in the area of Craniofacial Pain and Dental Sleep Medicine. As an expert in these areas, Dr. Patel works with dentists to help them better understand the treatment of these conditions within their own dental practice. 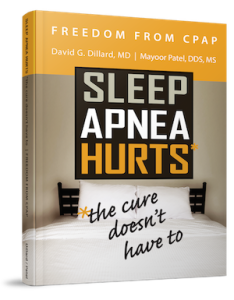 Dr. Mayoor Patel is available to help dentists better understand the areas of Craniofacial Pain and Dental Sleep Medicine. He looks forward to helping other dentists better treat their patients’ symptoms in their own dental office.